My mom is a first generation American. This means that she and her siblings are the first in the family to be born in the United States. My Grandfather on my dad’s side is also first generation American. 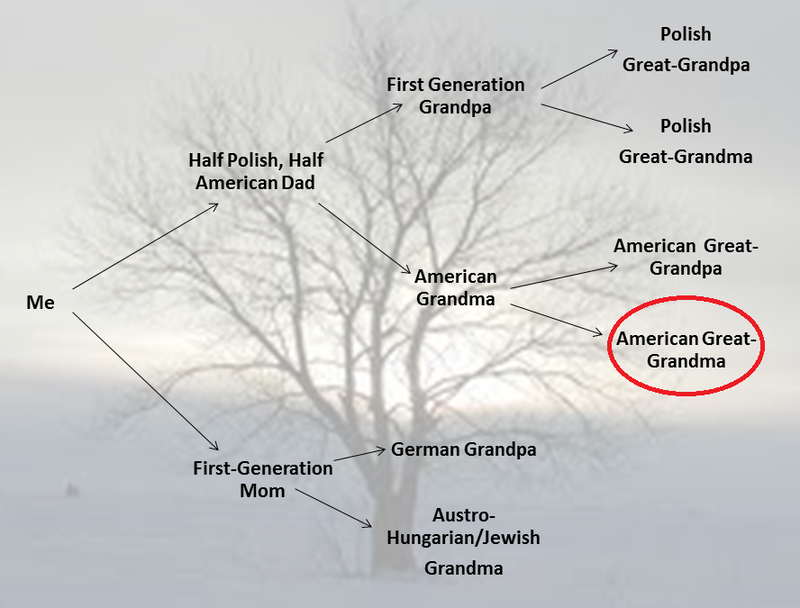 Mom is half German and half Austro-Hungarian Jew, and Grandpa on Dad’s side is 100% Polish. Grandpa on Dad’s side married an American. This is where the lost tombstone comes in. Dad says he’s half Polish and half mutt. On the mutt side of my family (the American side), I have a 5th great-grandfather who was a colonel in the American Revolution, so I qualify as a Daughter of the American Revolution (DAR); even though I am part mutt. Sooner or later I’ll get around to joining the DAR, but for now, I’ll just settle for finding my great-grandfather’s grave. My great-grandmother on my father’s side was a Wyckoff. And her great-great grandfather was Colonel Auke[y] Wikoff [Wyckoff/Wykoff]. There is a story there, and if I do some digging, I’ll be able to tell it. 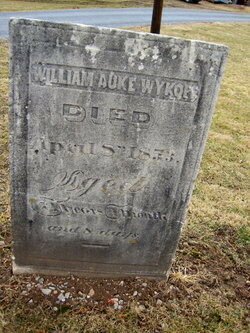 Auke Wikoff’s grave is located in the Polhemus family cemetery in Monmouth NJ. There are 44 tombstones in the cemetery. According to Find-a-Grave, “15 stones predate 1800. It is in a heavily wooded area, with many brambles and poison ivy.” Perhaps that is why my request for a better photo has produced no results yet. But I’d really like to get a better view of this tombstone, not a copy of a photo, but an actual photo. In fact, I’d love to get some good photographs of the WHOLE grave yard. Wouldn’t that be awesome? I was able to find a photo of his son, my fourth great-grandfather, William Auke Wykoff, but that’s because they are not in the same cemetery. Both of these tombstones can be found on ancestry.com. The colonel’s photo even comes with a story attached. You can go look them up, or you can wait for me to dig up more information about Auke and write the story for my blog. Or both. In the meantime, The Polhemus family cemetery has several other tombstones from my family tree, probably even my 5th great-grandmother, Sarah Schenck’s, tombstone. I think it would be a great idea to write my final post for Graveyard Month on the Polhemus family cemetery. It’s got all of the necessary elements for a spooky ending to the month. I may not be able to get to Monmouth NJ, but I think I can get to some photos. I’m going to do some more digging and see what I can get for you. I hope you are looking forward to it as much as I am!